This exciting new tool for LightFactory allows you to create your own end user interfaces that deploy automatically to both Android and iOS devices. Using this tool, you can click and drag buttons, sliders, images, text and switches onto a custom mobile form. 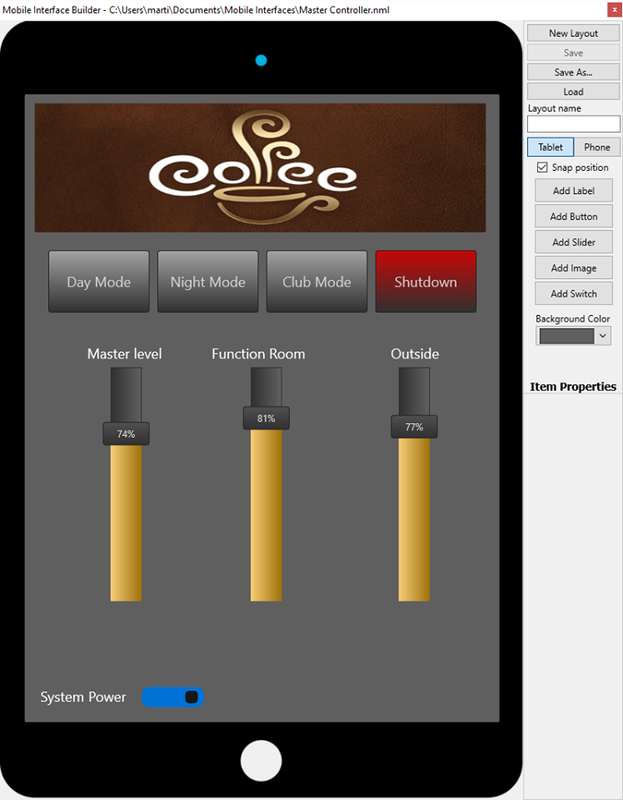 You can save as many layouts as you want that are then served to the mobile device from LightFactory. Open the MyInterface app on your iOS or Android device and a list of available layouts is shown. When selected the layout you created will show and can be used to control your LightFactory system.